Don't you love these tiny blue flowers that pop up all over the Gorbio walk. I have no idea what they are called but certainly they are a bulb. Anyone know? N'aimez-vous pas ces petites fleurs bleues qui poussent partout le long de notre promenade à Gorbio. Je n'ai aucune idée de leur nom, mais ce sont certainement des fleurs à bulbe. Quelqu'un le sait-il? In french, "anémoness hépatiques" (hepaticas nobilis). I don't know the english name, I'm sorry! Malyss, thanks so much. I should have guessed you'd know of all people! 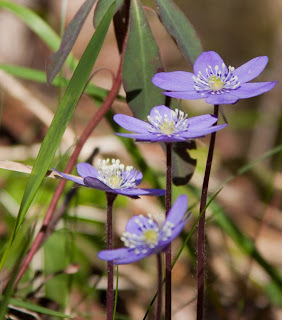 I looked it up, in English it's known as Common Hepatica, liverwort, kidneywort, pennywort. Strange names for such a beautiful flower. I'm impressed as for me at least floral close up shots - let alone Alpine plants - are really tough. Good shot and encourage more botany shots because the series of late has been very interesting and well-wrought. 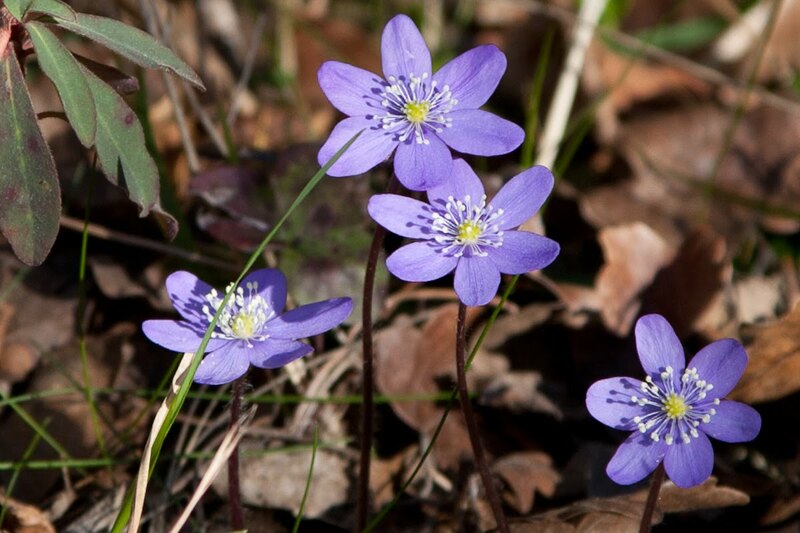 'Hepatica' is a strange name but it's derived from the latin word for liver and there was belief that because it had a semblance to a human liver (I believe colour-wise as the flower is sort of liver-coloured.??) It was thought to be helpful to treat mucous-related issues or something. Wrong of course as in large quantities it's a poison apparently. It's happening here, too, with different species, but you are seni-tropical. So many blooms so early in the year is just weird in the middle of North America. Anon has a very thorough description - thanks! @extradiagetic - that's brilliant - really helpful explanation of the flower. And thanks also for kind words on blog. In finnish they are called "sinivuokko"
Don't know, but they're my favorite color. Just beautiful...I love the delicacy of these flowers. Spring is such a lovely season, isn't it? Two beautiful shots - great composition and lighting.